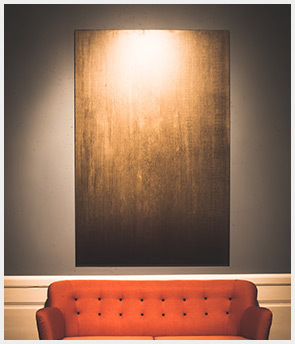 Flexibility is our passion, Ulvhäll is suitable for meetings, conferences as well as events. Rest to sure the Mansion will adjust to accommodate your wishes. 14 are lofts. The Annex has altogether 42 beds. 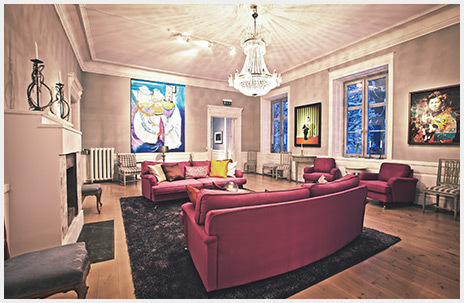 On the middle floor of the Mansion you will find various saloons, dining rooms, meeting rooms and a billiard room. The first floor offers meeting rooms, dining rooms, a bar and maybe most important, Ulvhäll’s unique kitchen studio with seven complete cooking stations. Here you can choose to cook all by your self or together with a chef that will lead you to a gourmet dinner created by you and your colleagues. 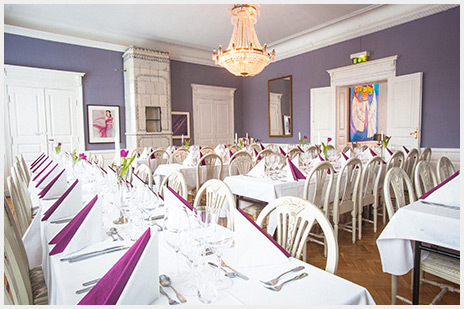 Of course you can also choose to get your food served as in a normal restaurant which then is prepared by one of our catering partners for example Edsbacka Bistro. Under the mansion you will find a wonderful and authentic Wine cellar where you can enjoy wines you brought yourself as Ulvhäll has no licence to sell wine or other alcoholic beverages, that you bring by your self. The price to rent Ulvhäll is 29 900 SEK excluding VAT (37 375 SEK inclusive VAT). This price includes the whole Mansion with its 13 sleeping rooms as well as two new Tennis courts and a Sauna down by the lake side. We can also offer 16 additional double rooms and 3 single rooms in an adjacent house. 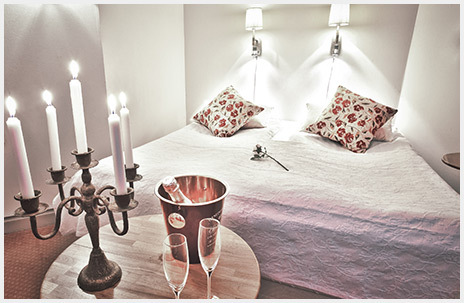 These rooms are rated 4 stars and the cost for a room in the Annex is 1 040 SEK per room (1 300 SEK including VAT).